There are few questions that you are most interested in. That’s why we looked closer to Pre-Sale questions and we’re bringing you answers to most common ones. In this post, you will find all the practical information on the validity duration of Full Membership, updates to our templates and our pricing policy. BUY FULL MEMBERSHIP FOR $99 TODAY	Best Price Ever Guaranteed! The current price of Full Membership is always displayed on the website. Time to time we run special offer for our wp themes, plugins or even bundles. The price of Full Membership is final. This means we do not charge any extra fees. If you’re subscribing as a private individual and you live in European Union, we are obliged to charge you the Value Added Tax (VAT) on top of the subscription price. VAT rate depends on the country of your residence. We paid this tax to your country of residence. One of the most frequently asked questions is how much the membership will cost following the 1 year validity. There is a simple answer for that. We are happy to guarantee the lowest possible price. For Membership renewal, you will pay the same amount or less. You will pay less if at the time of your Membership renewal, there is even better special offer price. It cannot happen that you will pay more in a year time. Renew access to all wp themes, plugins and graphics every year for the best deal we offer. For a detailed description of the Membership extension process, check this article: Catch a great deal once and it’ll stick with you forever. How many times can you use wp themes, plugins or graphics? And for how many customers? For Full Membership there is a commercial licence and at the same time unlimited domain usage, which means that you can create an unlimited number of websites for your customers from our wp themes and products. You can use all the products included in the Full Membership as many times as you like. By purchasing Full Membership (even only one-off just for 1 year, without further renewal) you also get Lifetime usage license. 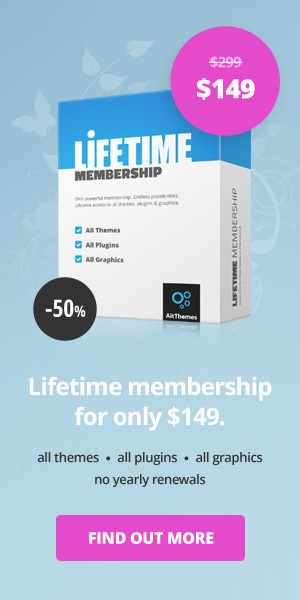 Lifetime licence entitles you to continue using already downloaded wp themes, plugins and graphics even after the membership has expired. Beware, you must download the installation packages before the membership expires. After that you’ll lose access. Lifetime licence does not apply to wp themes and plugins updates or support. These are available only during the validity period of your Membership. Because wp themes, plugins and graphics are fully available only to those customers who have an active Membership. Even though it is no longer possible to download other/new themes once the Membership validity expires, the previously installed templates will remain yours and you can still use them going forward. The limitation is the above mentioned absence of updates and support. If your payment is declined or you receive „Do not honor“ error message, it’s usually caused by a denial of payment by your bank. More info on declined payments. Some customers are asking us why PayPal payments are not available. As Braintree falls directly under PayPal, it is not reasonable to provide nearly identical payment gateways. Payment via Braintree is just as easy and reliable. Have your realized that you do not need access to all professional wp themes, plugins and graphics? No worries, we also offer single wp theme or bundles. Visit single product page and check for the price and special bundles promotions. You can choose the best wp theme package you like. Are you planning to become our customer? 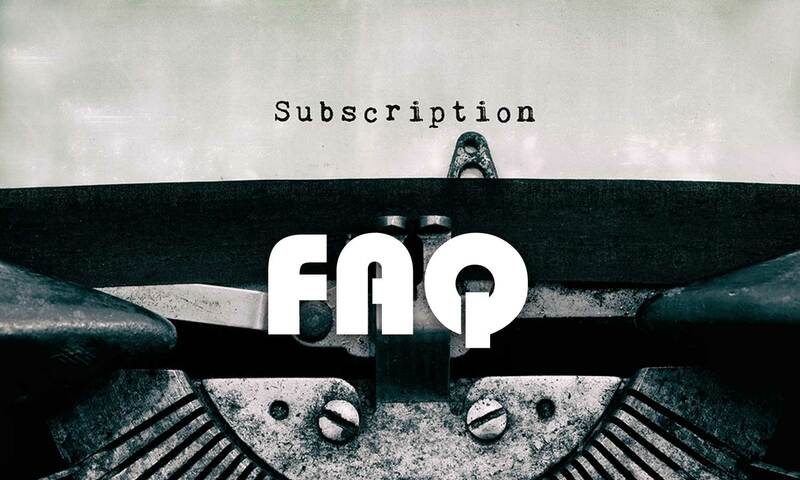 Would you like to buy our Full Membership, but you would like to ask something first? Leave us a comment below or write a Pre-Sale question! thanks for your comments. Indeed, we are working on it thus all issues is going to be solved within coming days/weeks. I need to be able to pay my renewal licence from my PayPal balance not with a credit card. Please make sure that is possible, I’m in a hurry to build some new sites during the next 2 days, unless that becomes possible I’ll have to look for alternative themes. thanks for your message. Yes, it is possible once you provide us of your email or user name registered in our system. Consequently our account manager will manage it – you’ll get request from paypal. thakns for your comment. I have checked your account and found out that your the subscription you have is “PremiumX Membership” which doesn’t cover plugins and graphics. Thanks for understanding.